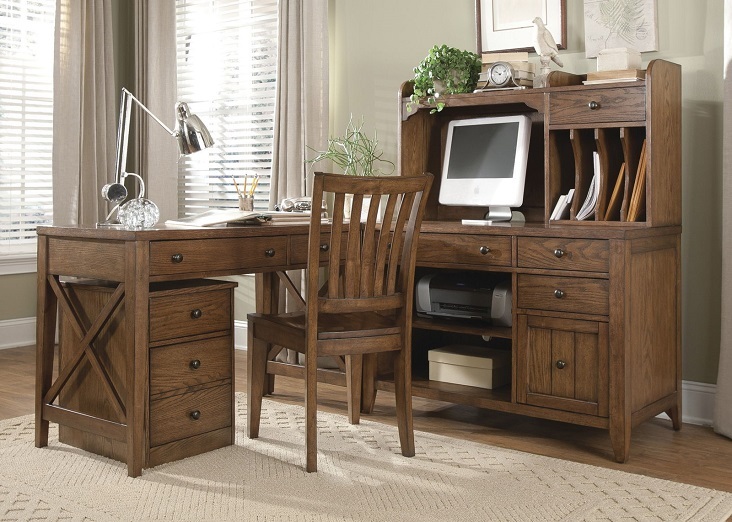 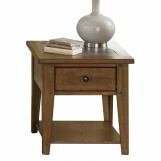 This Hearthstone Home Office Desk Set features a writing desk, writing desk hutch, computer credenza and corner filler. 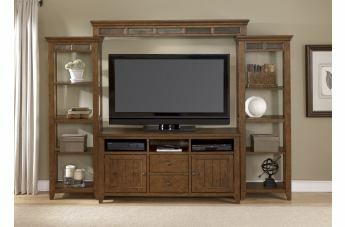 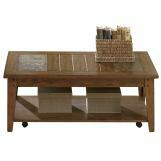 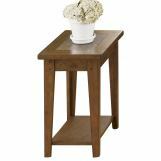 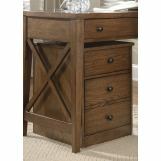 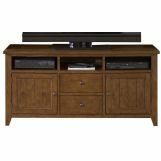 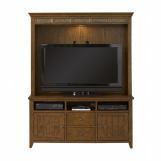 Each piece is constructed from hardwood solids and oak veneers. 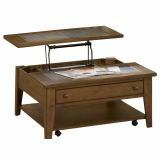 This piece features metal drawer glides, flip down keyboard tray and removable pencil storage compartment, and satin nickel bar pull hardware. 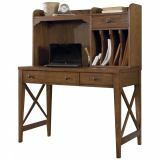 The writing desk hutch also features vertical storage compartments and 1 storage drawer. 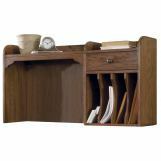 The mobile file cabinet features two drawers designed to look like three with drawer locks. 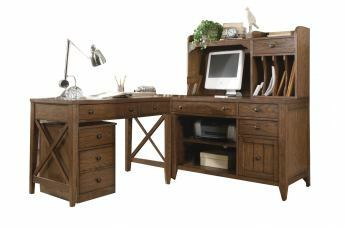 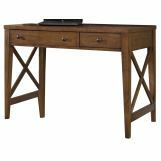 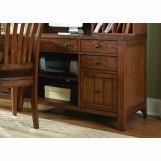 This L-shaped desk will create a functional and a convenient work space for your home office or den.